According to our official and unofficial documents, there were two that saw service there in the late steam era: Nos. 914 and 925. Both were of the D-10G class with V&H super-heaters, power reverses, and oil tenders. They arrived from the Vancouver Island where they had been in service for the Esquimalt and Nanaimo Railway, a CPR subsidiary. While there, the shop crews kept them in fine array. 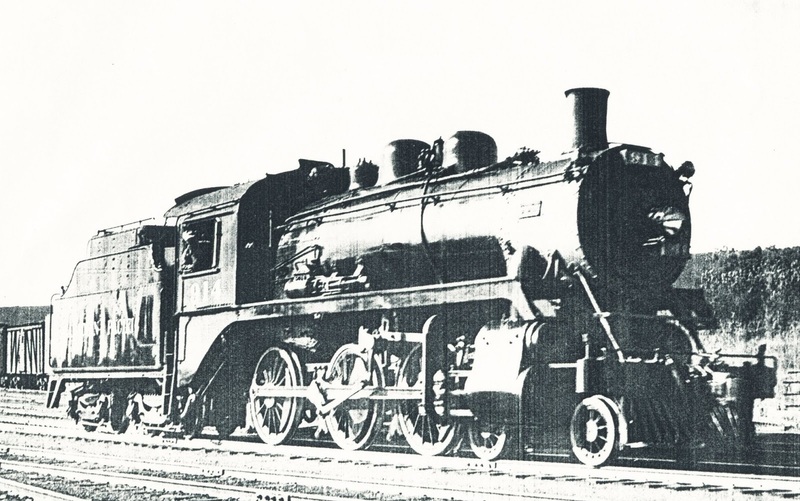 Turner's book Vancouver Island Railroads has a small photo of 925 all decked out in white tires and silver smoke box for passenger service (p. 67) but this trim did not last on the Kettle where she was assigned to freight and mixed trains. We also have a photo of 914 with a work train trailing while approaching Princeton station in 1950. The photo was taken by Gib Kennedy and cannot be reproduced here for copyright reasons. A good shot of 914 is/was available from GTC Collectibles showing the right side with the power reverse and the oil tender. Photos of both sides of 914 were available from Railway Memories Collection but they may not be in business any more. Here is the best we can do for 914. 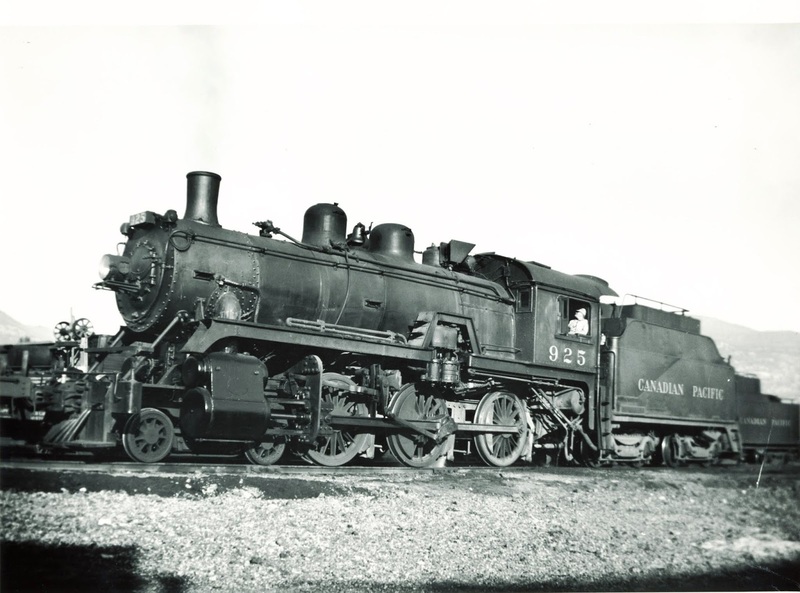 Another photo in our files shows 925 outside the roundhouse in Penticton in 1950 and this shot is/was available from GTC Collectibles as: CPR-925-1. However, the website suggests that prints may not be available. The photo shows the right side with the power reverse mounted above the running board as in the Rapido drawing above and the photo above. So, the right side for both engines is the same as the photo and the Rapido drawing. As to the left side the engines both carried a Cross Compound Westinghouse Air Pump. Rapido does not show the left side of their D-10 model but since the prototype D-10G's were fairly standard, it will probably be correct for our subjects. The only serious difference is in the step over the air pump on No. 925. If a modeler were interested in executing this detail here is a photo showing the left side of 925 which we hasten to add seems to have been unique to this engine. The 914 did not have the step. 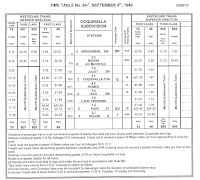 One other detail common to both locos is the flat number board which was correct for the time that these ran on the Kettle from early 1949 to late 1950. 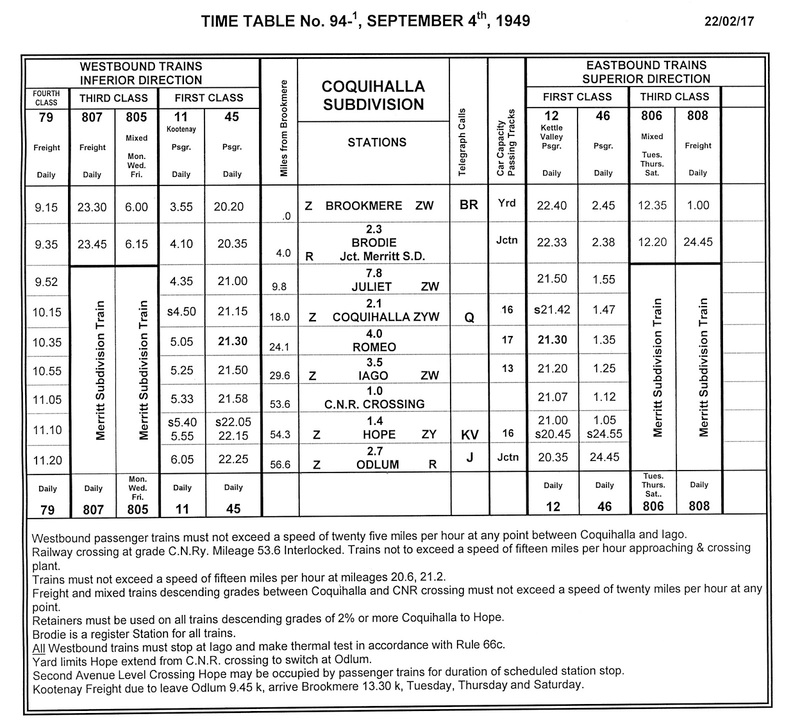 According to the rosters we have, 914 disappears from the 1951 assignment sheet but 925 continued in service there until 1952 at least. We have a model of a D-10 that Samhongsa and United built back in the 60's. Much work was done over a period of years on this model to effect a miniature version of No. 925 by an unknown craftsman before our acquisition and by our own shops afterward. Rigid Drivers were sprung by previous owner! 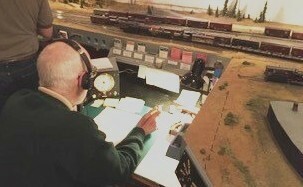 Despite all this work, it is still a poor runner due to her the pilot wheels or tender trucks being disposed to derail at least once in an operating session. But she looks good and is accurate in the detail. We unreservedly suggest that Rapido's version will undoubtedly be much, much better performing model than any brass version of the D-10. And it can be had with class lights, headlights and decoder already installed. One would have to change the number though and decals for that are available at Black Cat Decals. Or one could order the unlettered version and do the tender decals as well. Finally, here is the basic locomotive diagram for the D-10 in its E,F,G,H,J iterations. 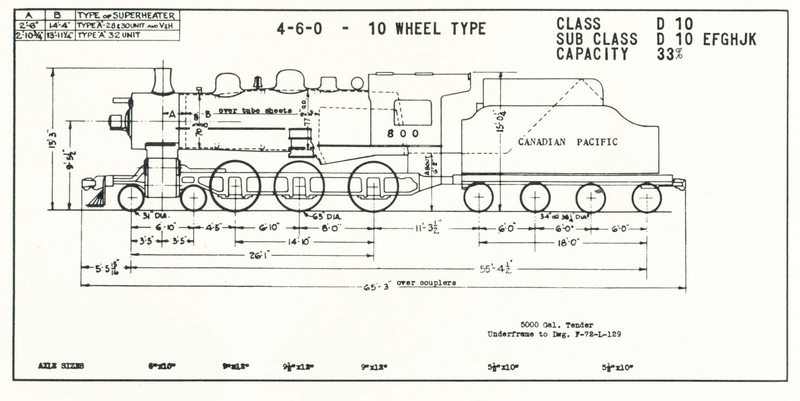 In summary, it looks like the example shown at the top of the page is your best bet for a very close model of the Kettle Valley Division's D-10g locomotives No. 914 and No. 925.